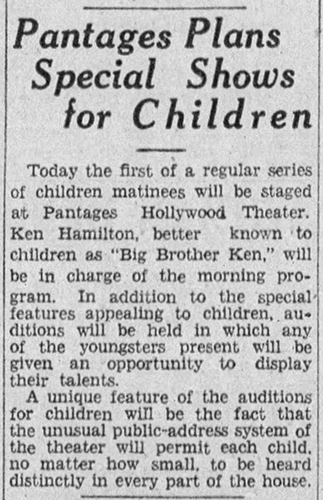 September 13, 1930: “The Gumm Sisters” performed as part of the “Big Brother Ken Show” at the Pantages Theater in Los Angeles, California. No other information about this engagement is known. The complete details of this audition are unknown. 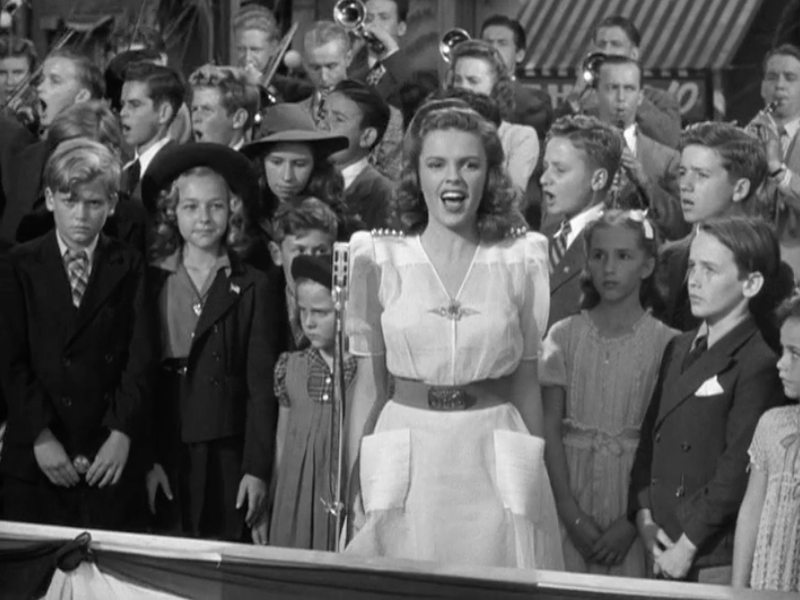 Over the years legends have grown about it, who was there, and what Judy sang. Eventually, just about everyone who worked at the studio at that time claimed to have been there and witnessed the now famous audition. 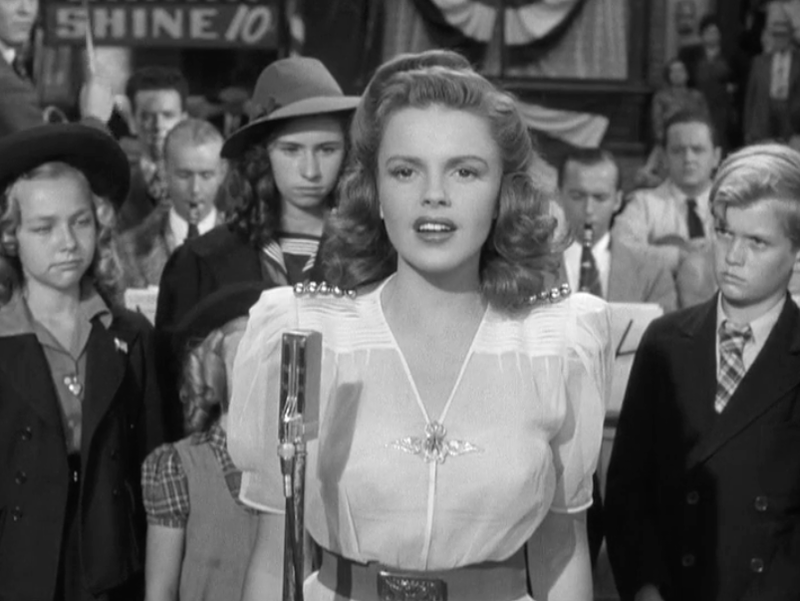 It’s also been reported that this was Judy’s third audition for the studio. 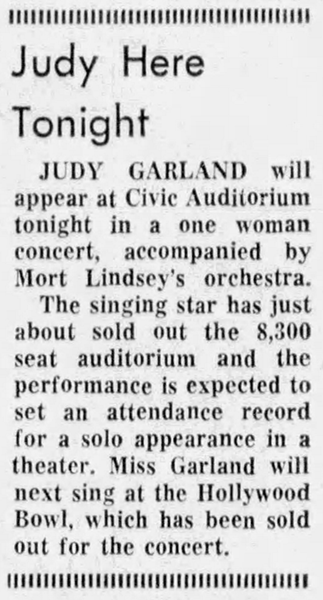 Allegedly she and her sisters auditioned for the studio around late spring 1935 and then a few months later Judy auditioned solo. 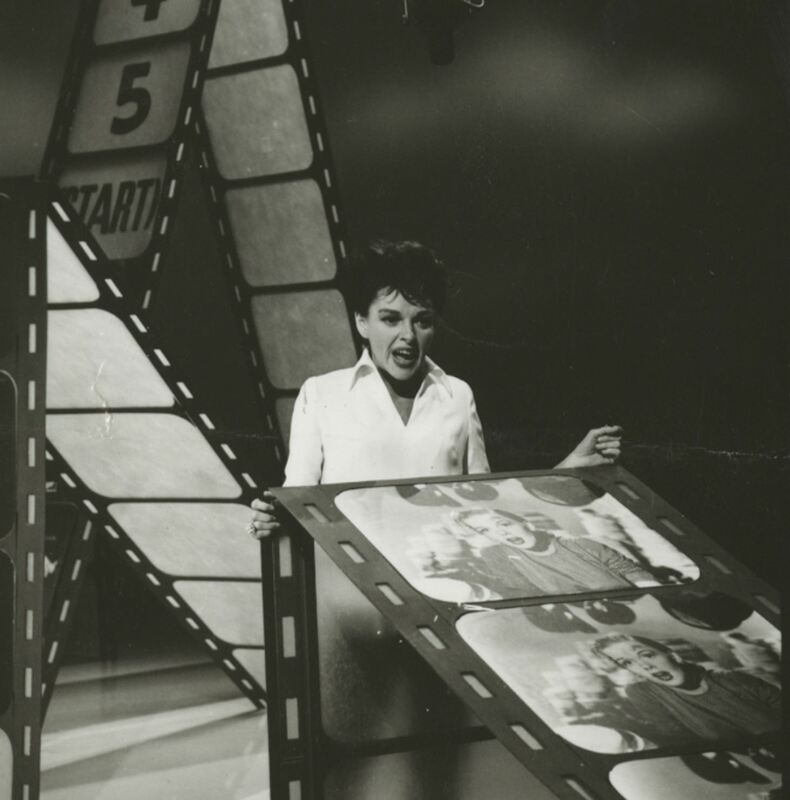 Whatever the case, this possibly third audition is the one that did the trick and Judy was signed with the studio, forever changing her life and career. 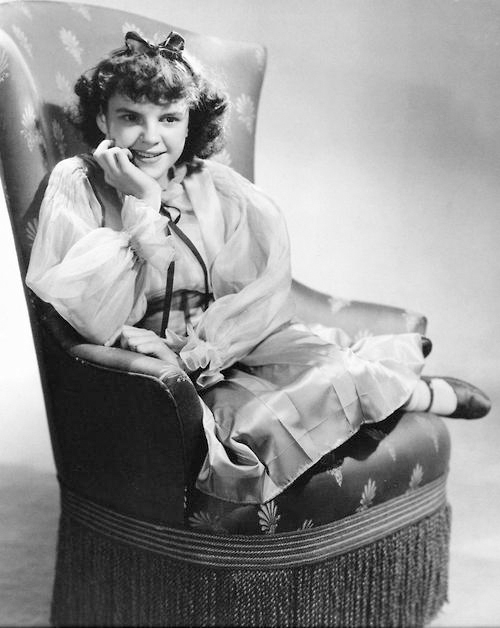 Photo: A photo from Judy’s first portrait sitting for MGM on November 6, 1935. 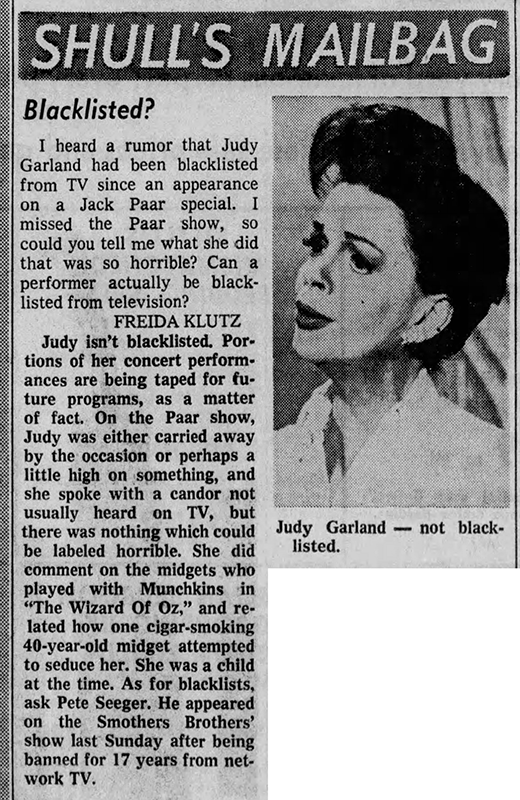 September 13, 1939: Columnist Hayden R. Palmer reported that Judy owned 3, 000 records in her private library of records. Judy was an avid record collector although it’s unknown just how many records she owned. 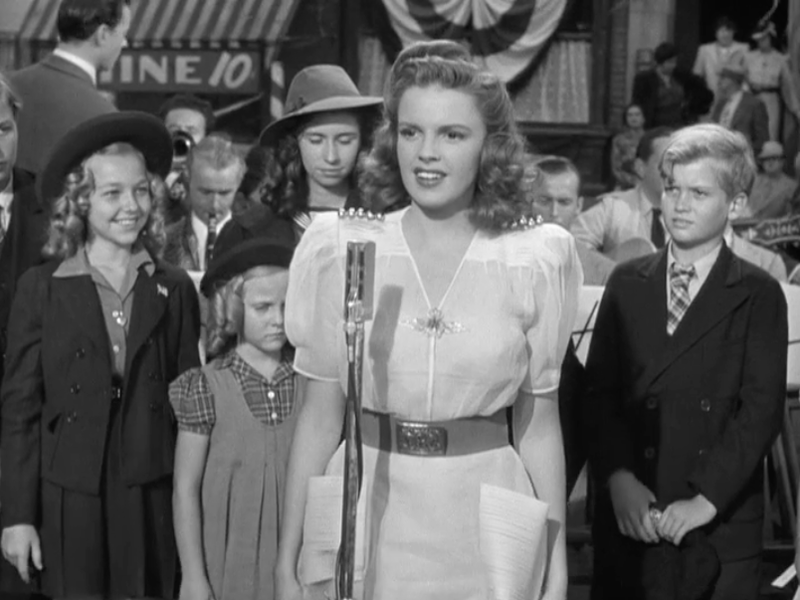 September 13, 1941: Another day of Babes on Broadway filming on MGM’s Backlot #2, the “New York Streets” section, specifically the “Block Party” and “Chin Up, Cheerio, Carry On” sequences. 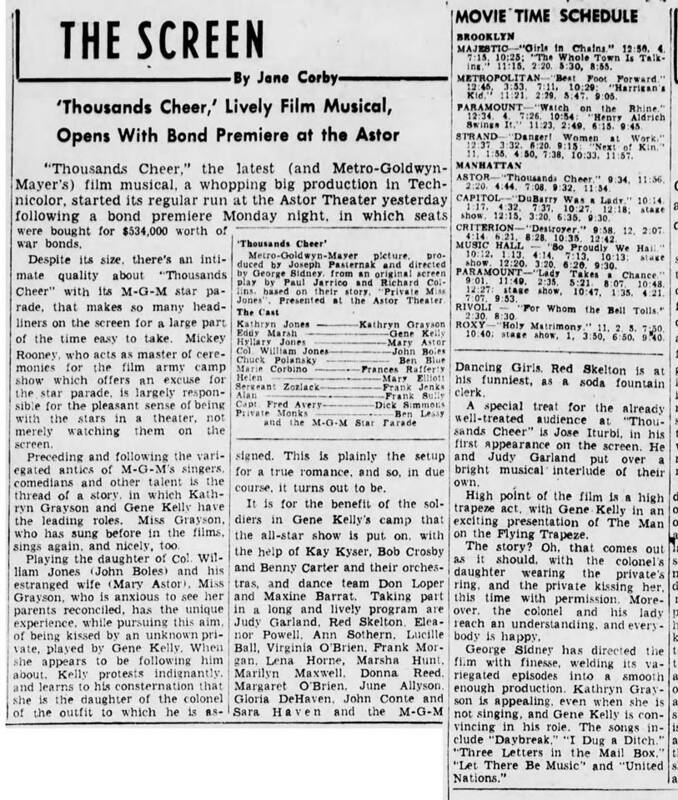 Time called: 9 a.m.; lunch: 12:30-1:30 p.m.; dismissed: 6:50 p.m.
September 13, 1943: Thousands Cheer premiered at New York’s Astor Theater. 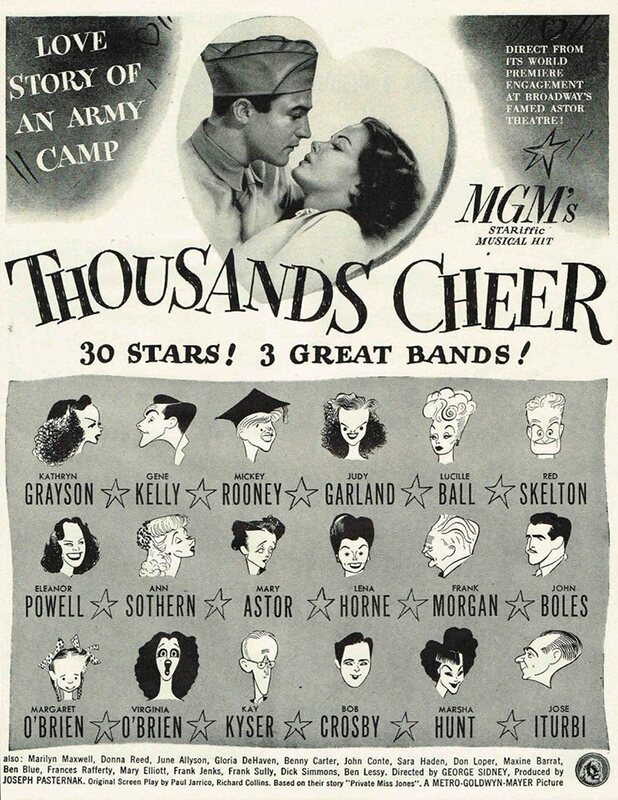 Judy was one of the many guest stars who appeared as themselves in the big “Army Camp Show” that was the climax of the film. 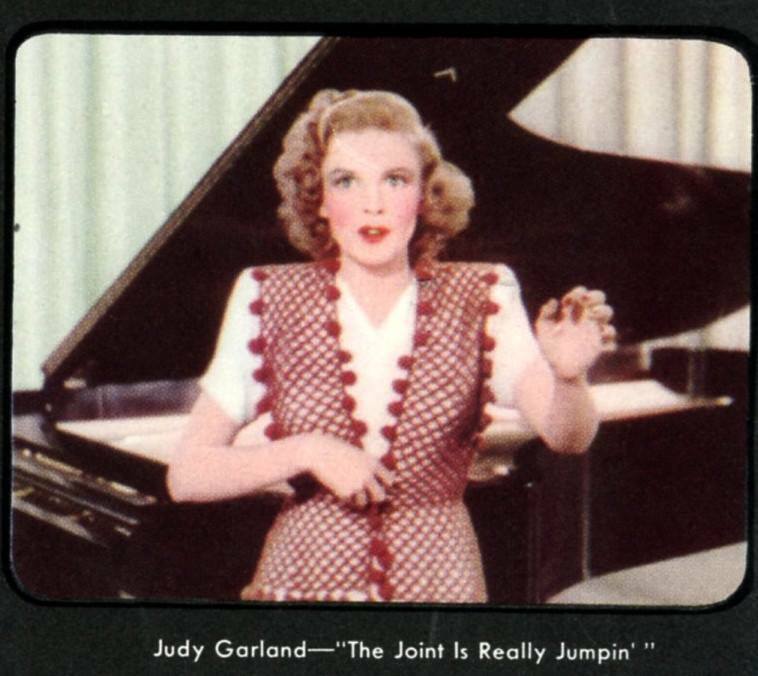 Judy sang “The Joint Is Jumpin’ Down At Carnegie Hall” with Jose Iturbi at the piano. Judy was in Detroit on this day which was one of the stops on the Hollywood Cavalcade Bond Tour that she and many film stars took part in. 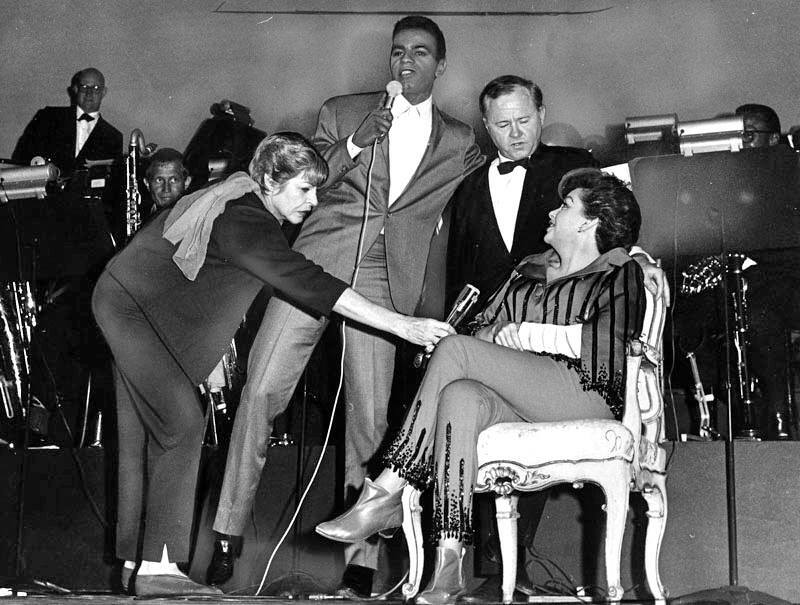 Jose Iturbi joined the tour for a few of the scheduled stops and, naturally, accompanied Judy on “The Joint Is Jumpin'” and several other numbers in their real-life big show raising money for the war effort by selling bonds. 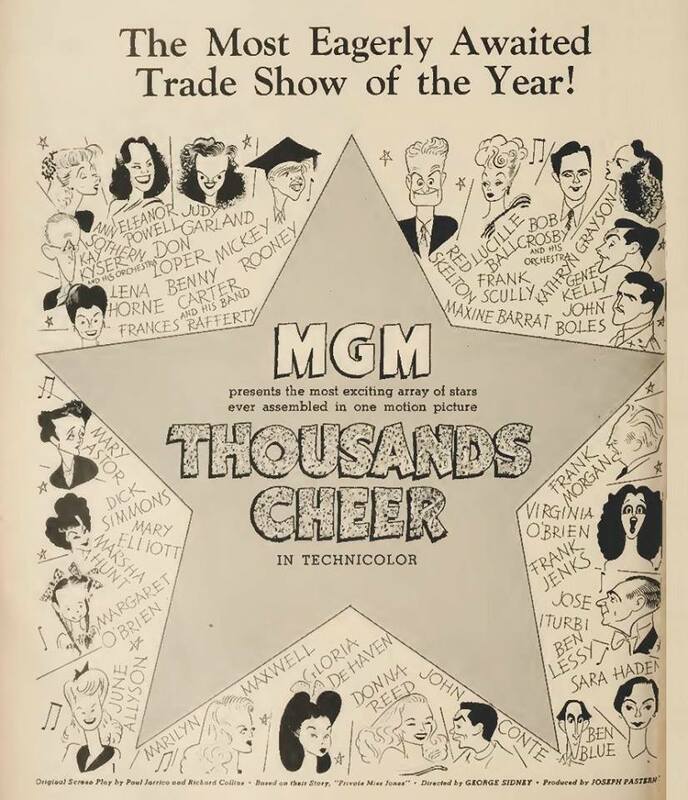 Thousands Cheer was a huge hit, grossing $3,751,000 which was a profit of $2,228,000 for MGM. 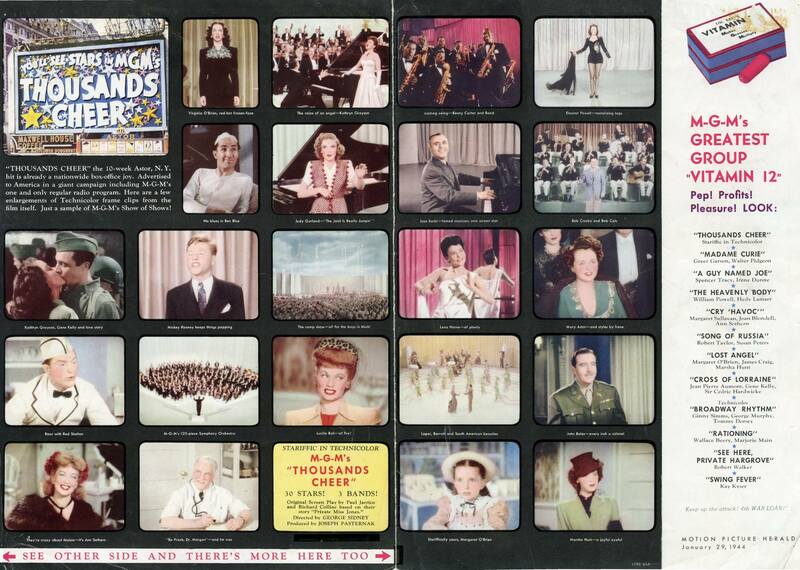 Some scans provided by Kim Lundgreen. Thanks, Kim! 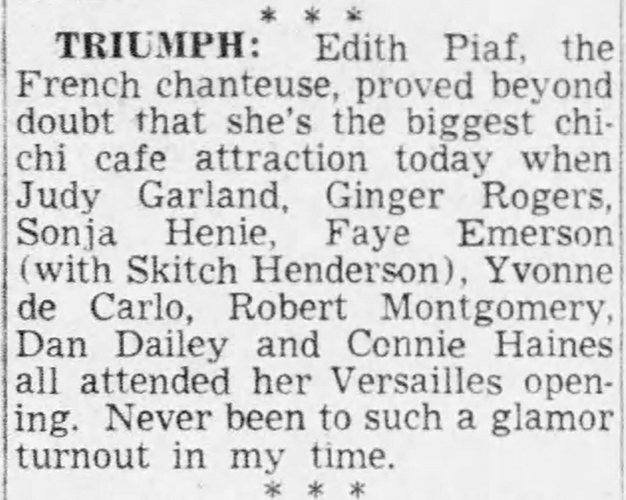 September 13, 1950: Judy was on vacation in New York, enjoying the raves for the audience responses to her new film, Summer Stock (see article), when she attended Edith Piaf’s opening at the Versailles Club. 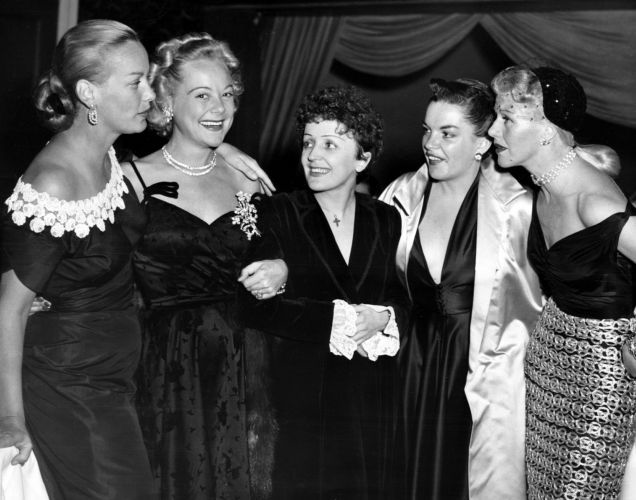 Judy’s seen with Faye Emerson, Sonja Henie, Piaf, and Ginger Rogers. 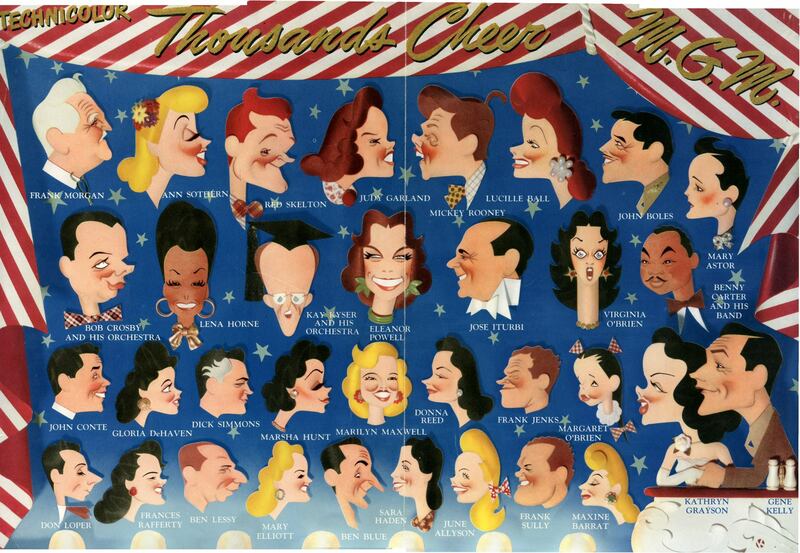 September 13, 1954: Judy’s second, and last, cover for “Life” Magazine with a feature about A Star Is Born on the inside. 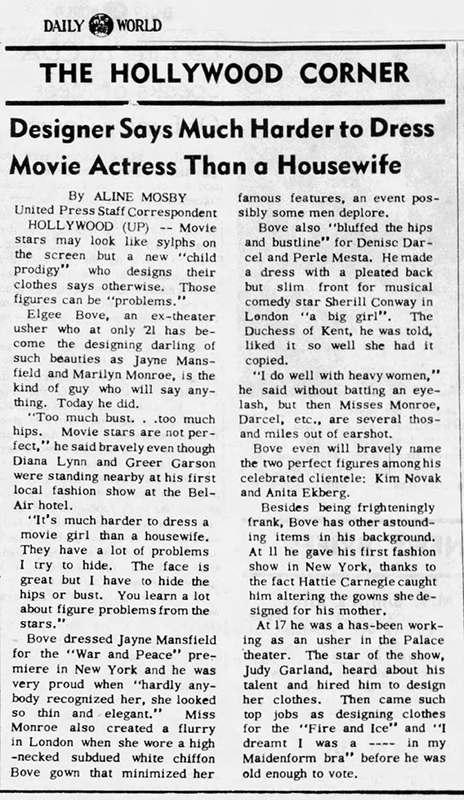 September 13, 1956: Two articles. 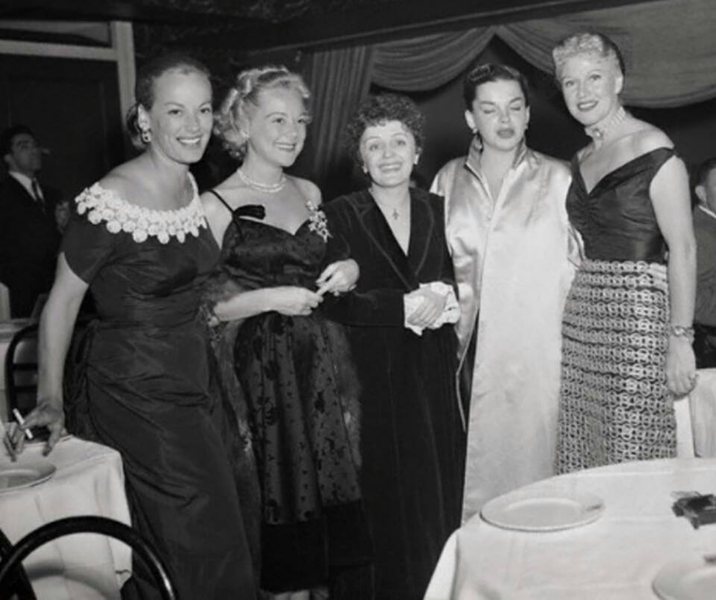 The first one claims that Judy discovered designer Elgee Bove when she played the Palace in 1951 (he was an usher). 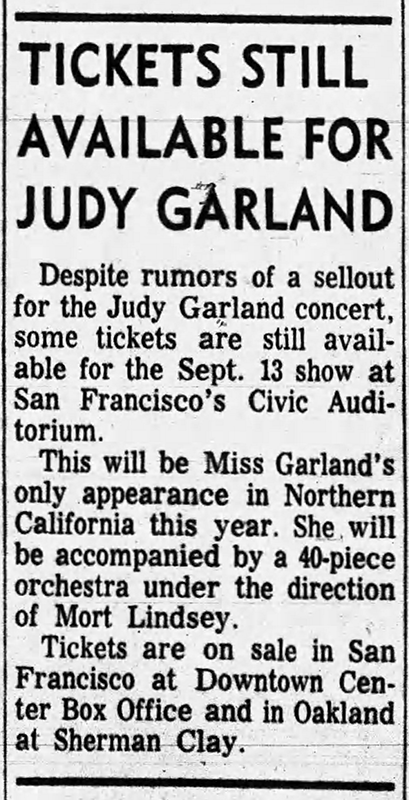 The second is a notice that Judy would return to the Palace on September 20th. Judy opened on the 26th. 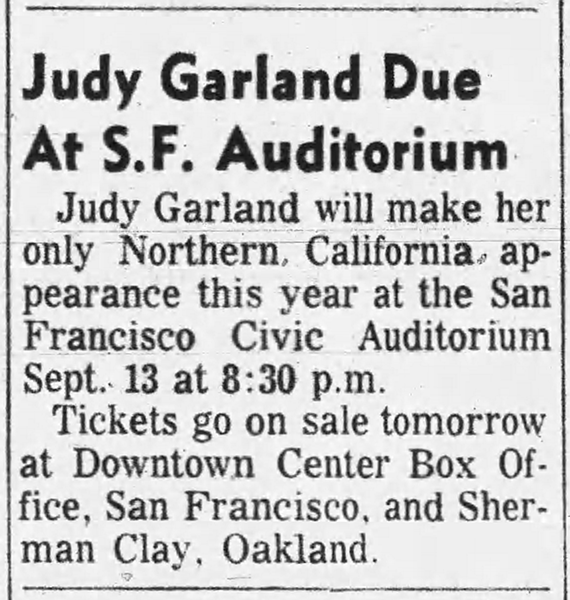 September 13, 1961: Judy gave her “Carnegie Hall” show at the Civic Auditorium in San Francisco. 8,700 people attended. The show grossed $45,000 at a $7.75 top price. 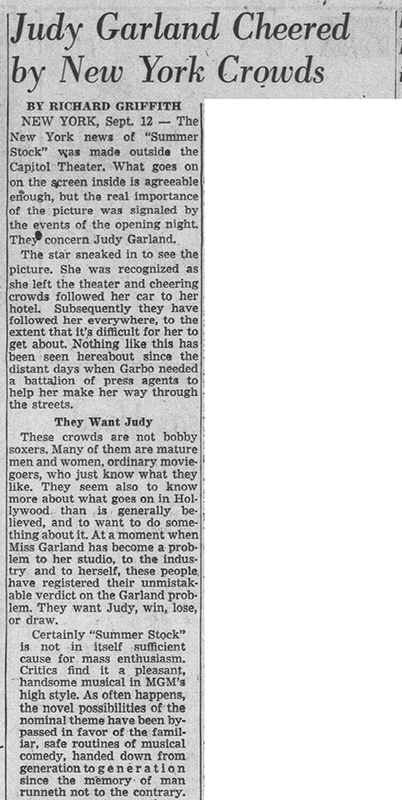 Judy was a smash hit, as the reviews below state. 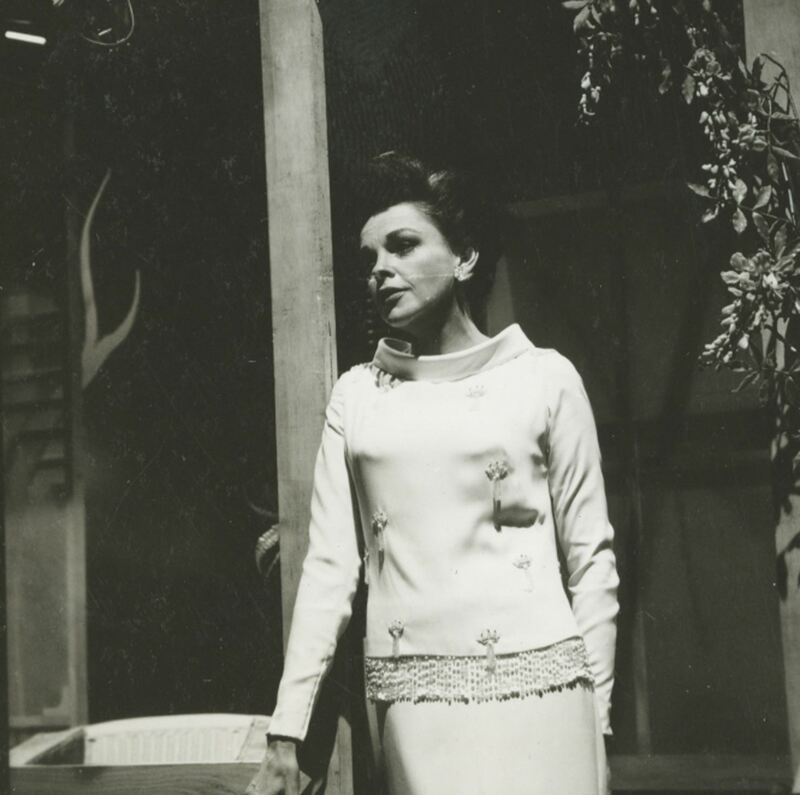 September 13, 1963: “The Judy Garland Show” resumed taping. The production had been on a break since the end of July. 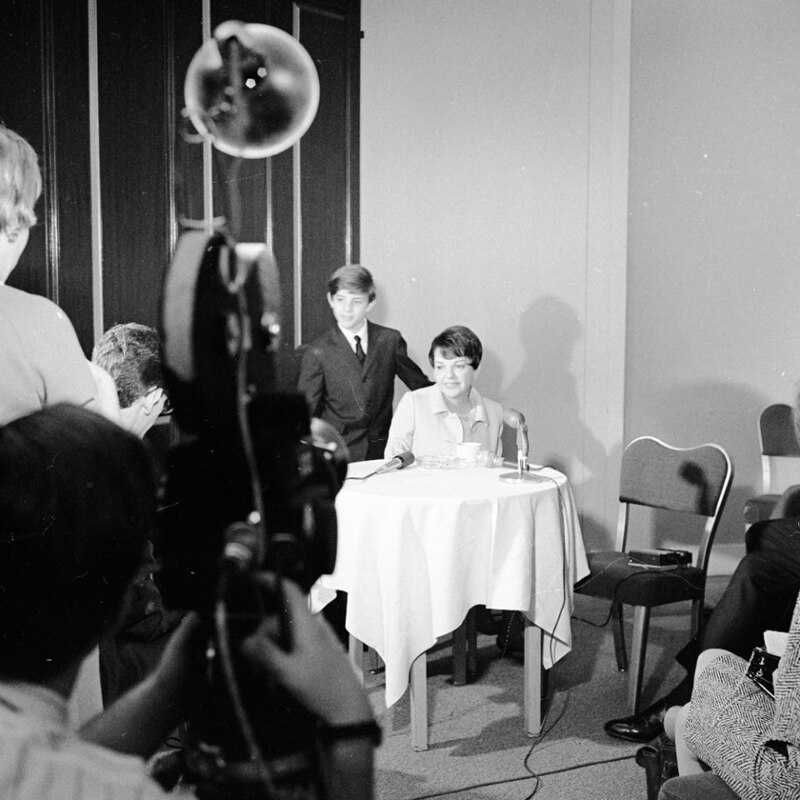 The network (CBS) was unhappy with the first five shows that had been taped. They fired the producer, writers, and choreographer. Director Bill Hopin stayed as did the musical and scenic staffs. At that same time, the current episode was canceled. 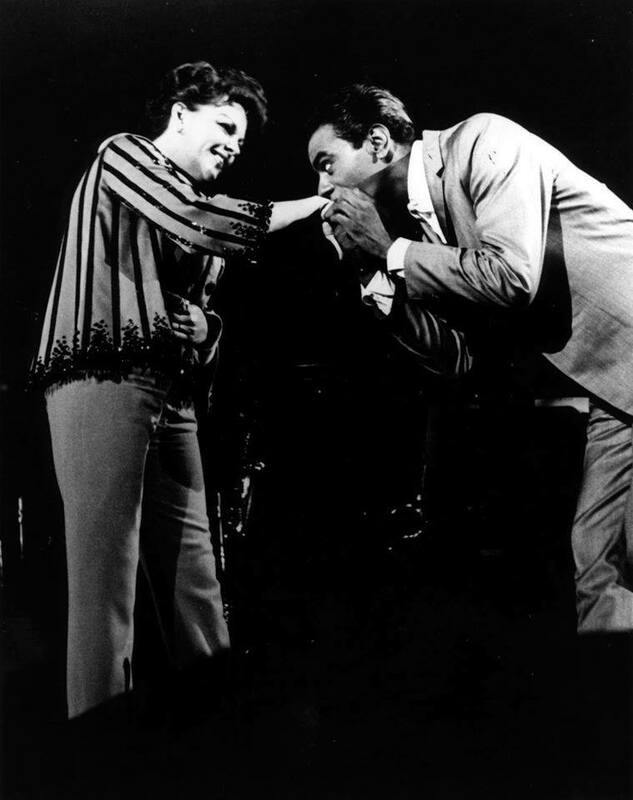 Nat King Cole was the guest for that episode and its cancellation meant that he and Judy would never again get the chances to work together. 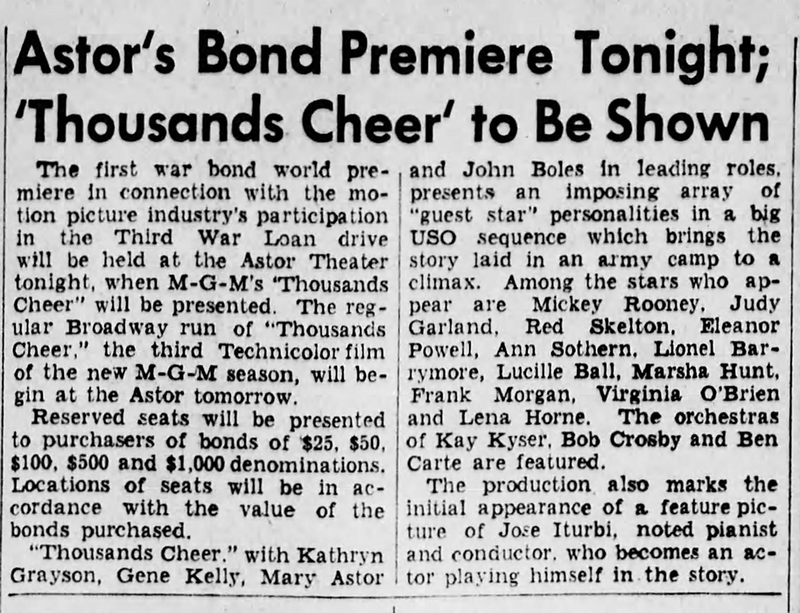 On this day, the dress rehearsal was from 5:30 p.m. to 7 p.m., then one hour for dinner and another hour for notes and technical preparations, then the final taping. 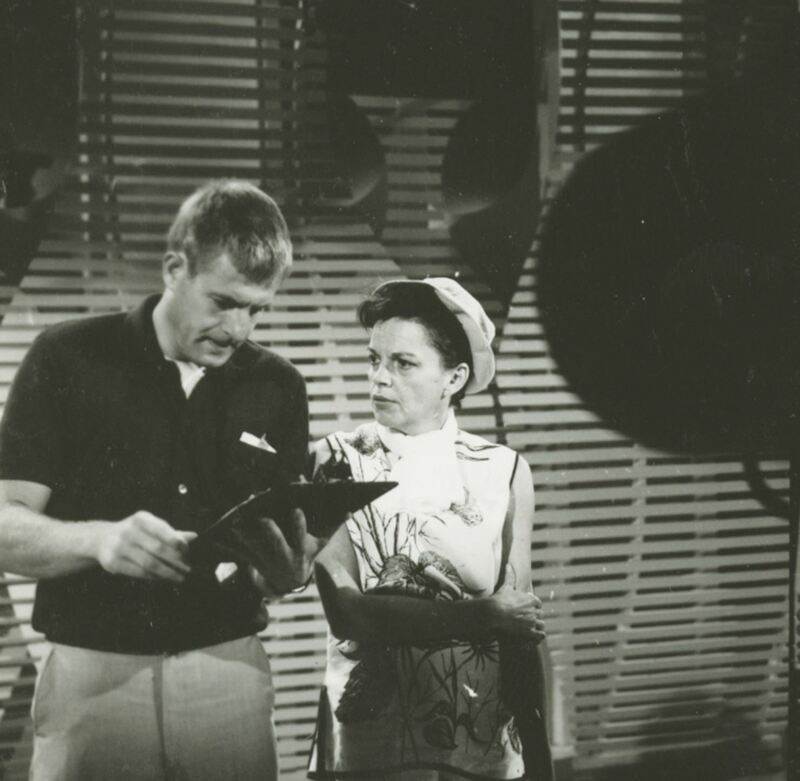 This was “Episode Six” of the show, taped as the previous ones had been on Stage 43 at CBS. 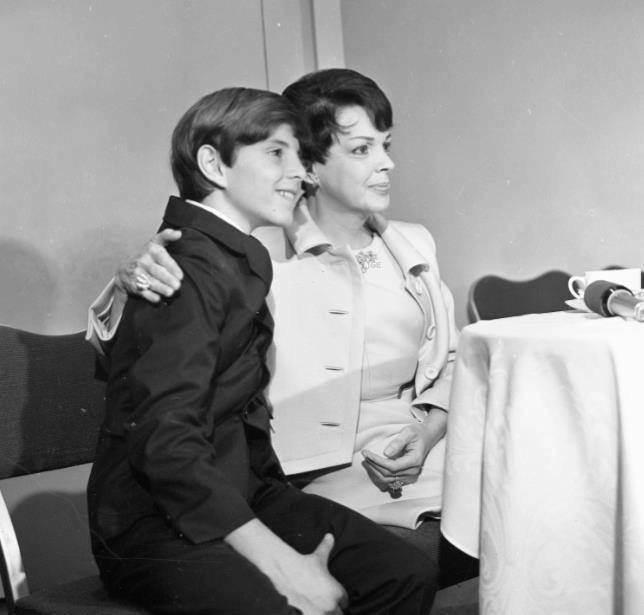 The episode aired on Sunday, October 27, 1963. 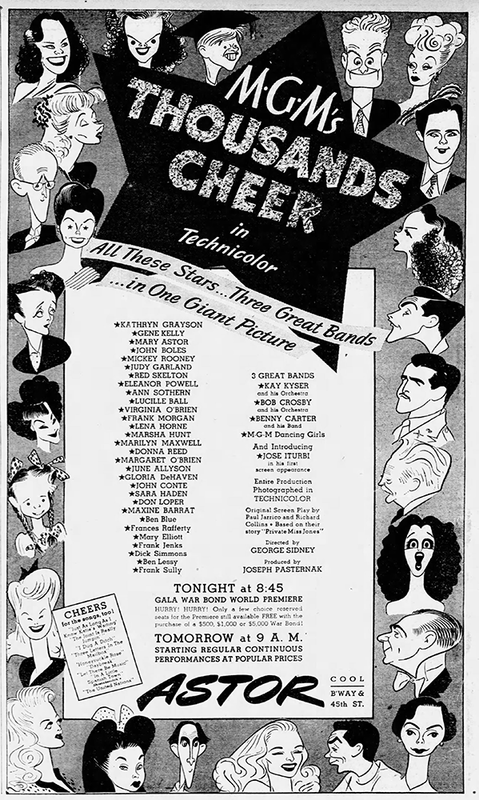 After the taping, Judy took her new executive producer Norman Jewison, Liza, her new writers, David Begelman, and others, to see Barbra Streisand’s closing night (the final show which was the late show) at the Coconut Grove. September 13, 1965: The first night of a proposed week-long engagement at The Greek Theater in Los Angeles. 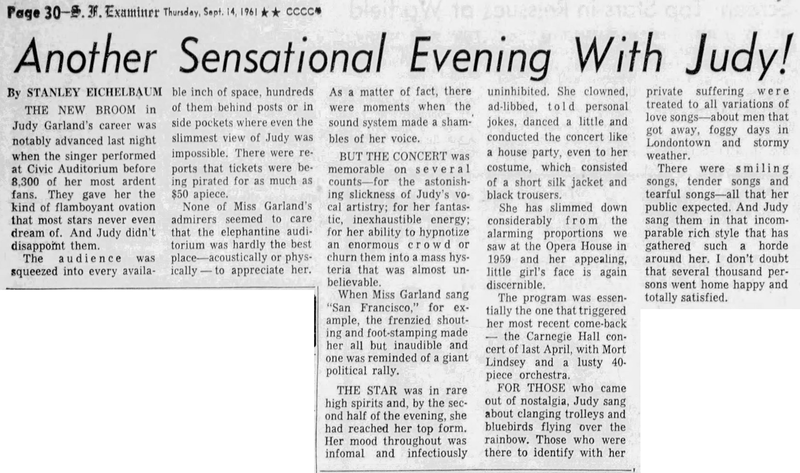 Judy received raves for this opening night. Mort Lindsey conducted the 33-piece orchestra, 13 of which were strings. 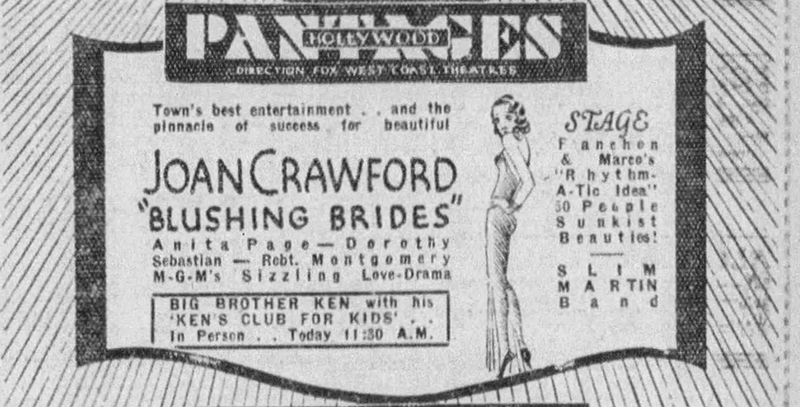 She was guaranteed $35,000 for the week, plus 65% of the gross above $70,000; there was an advance sale of $40,000. 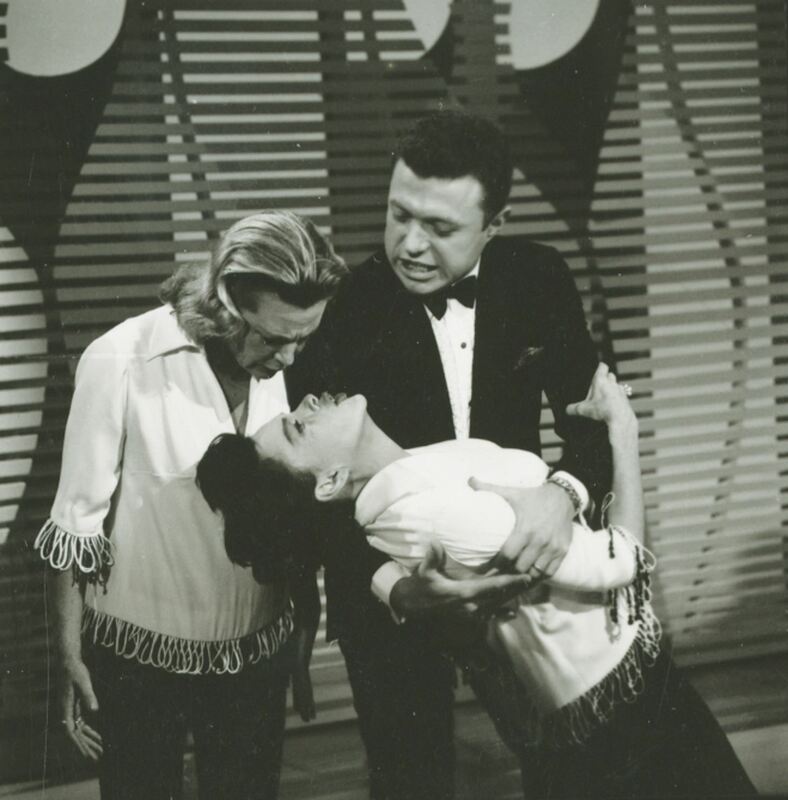 Photos: Johnny Mathis, Mickey Rooney, and Martha Raye give Judy help on the second night (September 14, 1965).